Ha-Eun Ryu appeared on Show 190, recorded in November 2008, at age 16. Ha-Eun Ryu (violin), 16, recently became a full-time student at Interlochen Arts Academy in Michigan after participating in their summer session. 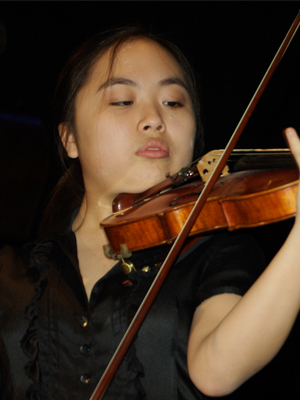 Ha-Eun is a former student of Doris Preucil at the Preucil School of Music in her hometown of Iowa City. Her friends call her a little Energizer bunny, and her family teases her because she’s rather dramatic. Ha-Eun is a recipient of From the Top’s $10,000 Jack Kent Cooke Young Artist Award. Ha-Eun is a Jack Kent Cooke Young Artist.